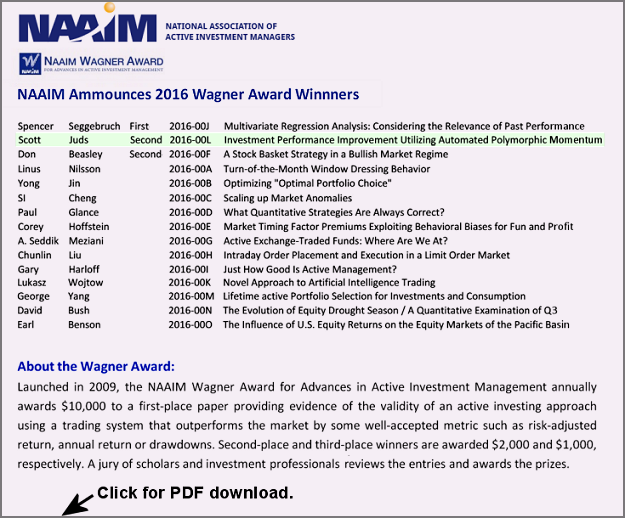 Market momentum has long been proven to be the best predictor of future price movements. SectorSurfer automates the process of selecting the best stock to own — no emotional bias! Its high performance trend following sector rotation algorithms keep you in the best stocks during bull markets and its StormGuard TM algorithms move you to the safety of cash during prolonged bear markets. Only by owning the top trend leader and avoiding the trend laggards can you simultaneously improve returns and reduce the probability of loss. SectorSurfer evaluates your Strategies daily and sends an email Trade Alert when you have trades to make. We also have many high performance mutual fund and ETF Strategies to choose from, or you can create your own Custom Strategy (see how here). If you prefer having personal professional advice, please contact one of our listed SectorSurfing Professional Financial Advisors. SectorSurfer is a trend following trading system for stock investment. Each TopDog Strategy is based on a well known Stock Market Index and consists of a selection of up to 12 stocks from that index. It is SectorSurfer's job to determine which one stock, and only one stock, from the set of 12 to own at any given time. 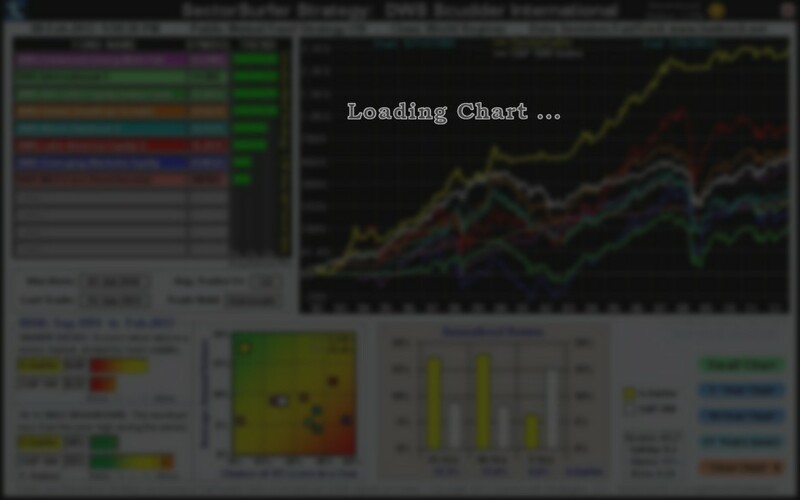 Simply by determining which of the stocks is the top trend leader and owning only that stock for the next month SectorSurfer achieves the performance depicted by the charts below. The table below contains numerous TopDog Strategy examples arranged by the market index its stocks belong to. SectorSurfer's trend following algorithm simultaneously improves returns and reduces risk by owning only the one best trending stock of the Strategy at any given time. While the popular Dogs of the Dow investment strategy suggests that an underdog with great dividends will likely lead the pack in the near future, many underdogs are not just temporarily out of favor, but have serious problems. It's never time to own an underdog until it actually becomes a TopDog trend leader. We recommend review of this material about stocks versus sectors to better understand why stock Strategies need occasional freshening. Note: Individual stocks are more volatile than mutual funds or ETFs as they are not diversified and carry more risk of sharp loss from news about quarterly earnings misses, management scandals, and other adverse events. We strongly recommend use of the Prudent Investor Rule with stock Strategies: To reduce portfolio risk and volatility, invest no more than 20% of your funds in any one stock. 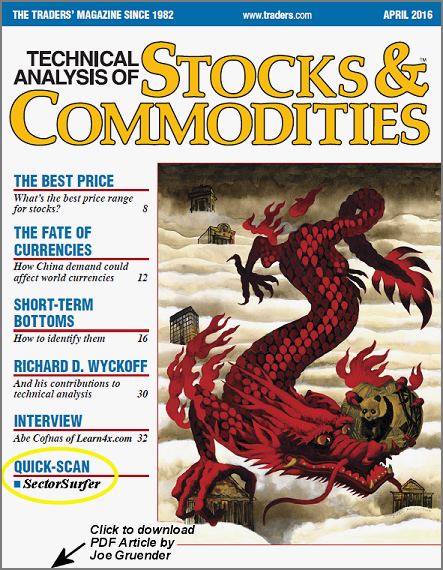 That translates into "Post-Surfing Diversification" — five or more Strategies each selecting one excellent stock. 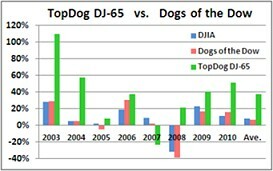 The chart to the right compares the TopDog DJ-65 Composite market index Strategy to the well-known "Dogs of the Dow" strategy performance as reported by TheStreet.com. The Dogs of the Dow trading system buys the Dow Jones Industrial stocks (DJIA Index) that are relatively low in price compared to their 52 week high, but which still pay relatively high dividends. Dogs of the Dow theory says these stocks will more likely perform better in the near future than their peers. Our database, from FastTrack, contains well over 3,000 U.S. Stocks from the three major exchanges, include many foreign stocks listed for trading on the U.S. markets as an ADR (American Depositary Receipt). Popular market index lists are shown below for reference. However, we generally do not make new stocks available until they have about 3 years of data. SectorSurfer's algorithm cannot properly characterize a stock that has not seen a variety of market conditions, and you risk the possibility of unexpected Strategy behavior in the future. If you must have a stock with a shorter history, you may be in love with it for the wrong reason. The right reason is increasing the probability of higher returns and decreasing the probability of loss. Fresh hype is not a sound reason for a financial marriage — character matters. The Hall of Fame page is dedicated to sharing or finding high performance SectorSurfer Strategies developed by other SectorSurfers. It includes investment strategies for safety, mutual funds, stocks, ETFs. Strategies are ranked by their Score. Safety strategies rankings further consider return reliability and drawdown characteristics. Strategies are evaluated and ranked nightly according to posted rules. Below are the top performers by category. Click Here for Full Listing.